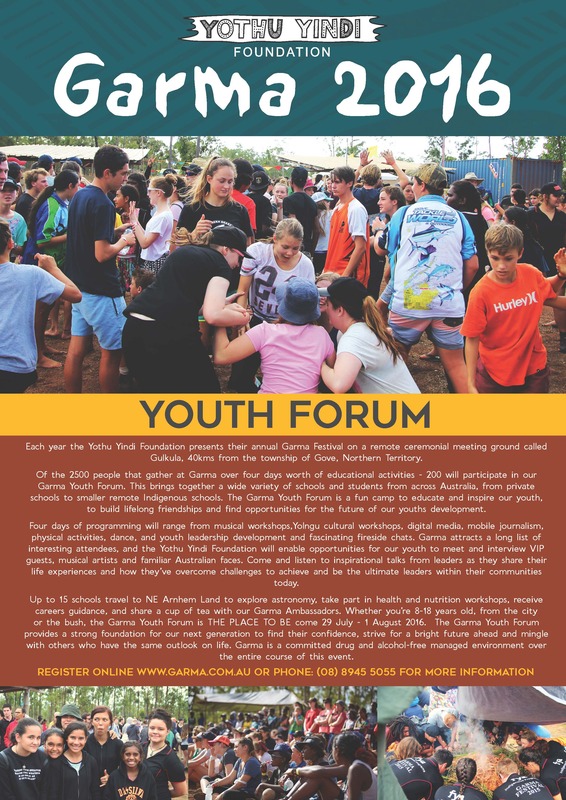 The Yothu Yindi Foundation is excited to announce that the Garma Youth Forum Registrations is now open. The four day Garma youth programming will allow participants to be involved in musical workshops, Yolngu cultural workshops, digital media and alot more. The youth forum is a fun camp to educate and inspire our youth, to build lifelong friendships and find opportunities for the future of our youths development. The Garma Youth Registrations are open until Friday, 10 June 2016. For further information, please contact the Yothu Yindi Foundation on 08 8945 5055.